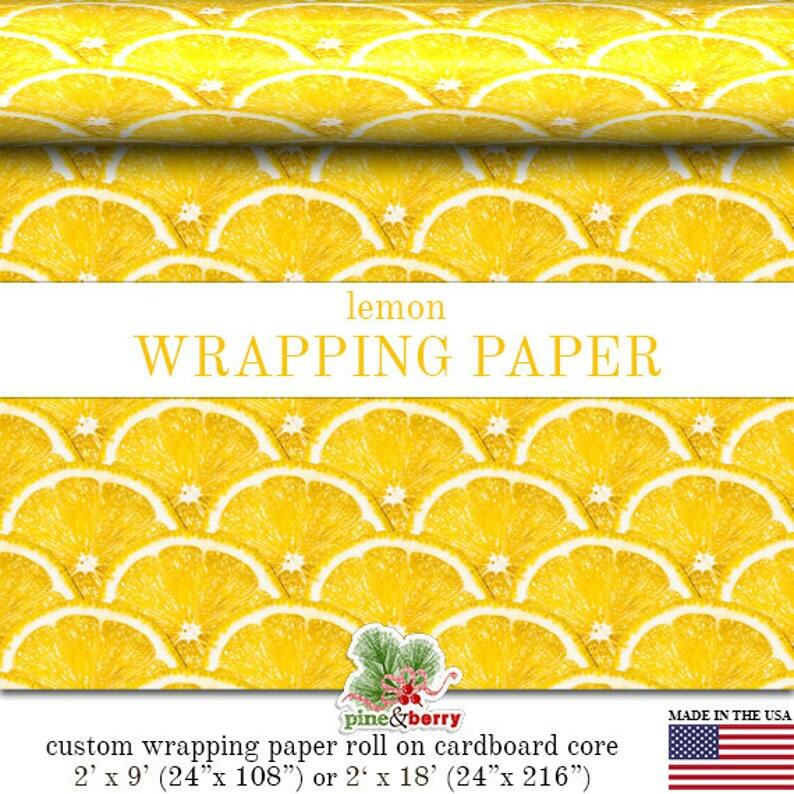 Luxurious matte gift wrap on a 9 foot or 18 foot roll of custom vibrant yellow lemon fruit slices photo wrapping paper for all occasions. The other side of this wrapping paper is white. This wrapping paper is not found in stores and is custom printed upon purchase. Beautiful paper, nice and sturdy too -- with speedy delivery! Beautifully made, thick high-quality paper.